Please be sure that any and all applications of the logo meet the branding and style guidelines. You may download the Style Guide (PDF) or refer to the guidelines below. 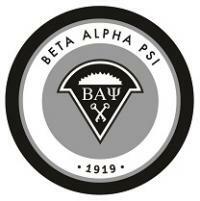 Note: You may not alter the colors or assets of the official Beta Alpha Psi logo. The logo is to be used in its final form, as provided to you in the ZIP file above. For use on all web, print and collateral pieces. 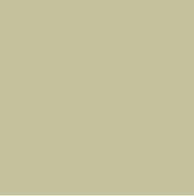 Use the full color logo whenever possible (RGB for web, Pantone or CMYK for print). Due to legibility, do not size the logo smaller than 1.25" diameter. To preserve the logo's integrity, always maintain a minimum of .25" of clear space around all sides. The clear space isolates the logo from competing graphic elements. For all headlines, headers and titles, use Carrois Gothic (title case) kerned out to 50. For all subheads, use Carrois Gothic (sentence case) kerned out to 50, half the size of the H1 used. For all body copy, use Arial, no larger than 11 pt and no smaller than 6 pt. 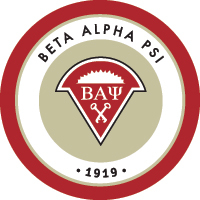 If you need a different version of the BAP logo, please email Lauren Peck, Marketing Manager at lpeck@bap.org.